Untouchable. Gorgeous air-ride E30 M3. 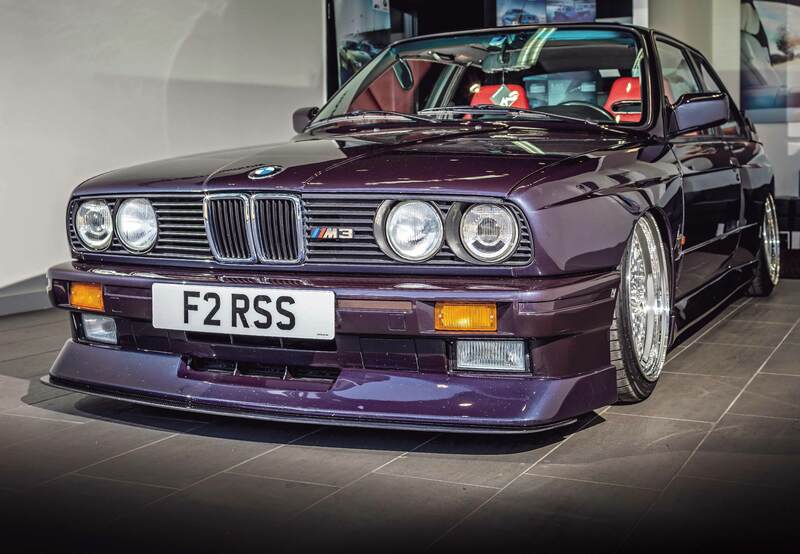 Some people say the E30 M3 is a car that shouldn’t be modified. 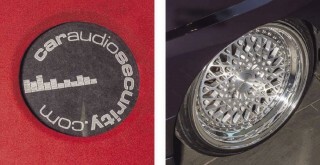 Thank goodness the guys at Car Audio Security weren’t listening… Words: Daniel Bevis. Photos: Si Gray. This business of modifying cars weaves a tangled and intricate web, doesn’t it? There are some cars which are seen as untouchable: rare, iconic, held in the highest esteem, to be kept warm and safe in sealed, microbe-free spaces lest any mishaps befall them. Others, ubiquitous in their day and thus ripe for modifying, find themselves increasingly cherished in standard form thanks to their initial throwaway image; think 1980s hot hatches in particular – they were covered in fibreglass, then they died out. For those rare examples that remain, subtlety is key. So the act of modifying some cars can involve a certain amount of walking on those figurative eggshells. 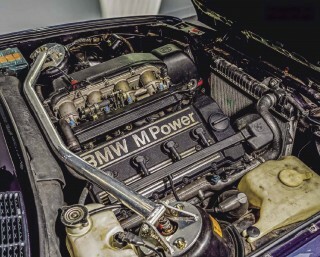 There are two schools of thought when it comes to owning a unique and celebrated car such as the E30 M3. The first is in favour of preservation and security – maintaining them to a finicky, concours standard using only OEM parts, ensuring that the screw heads all face the factory-sanctioned way and so forth. These are the cars that end up sitting unused in climate-controlled lock-ups and display spaces, driven seldom if ever. This is an entirely reasonable way to behave, and after all, it’s the owner’s prerogative – if that’s what they want to do, then so be it. These are rare and valuable cars, they should be preserved for future generations, and for posterity. Right? The second school of thought is what we might call ‘the Goodwood approach.’ If you’ve been to the Revival and seen priceless grids of Ferrari 250 GTOs, Jaguar E-Type Lightweights and the like having the very life thrashed from them (and, not infrequently, finding themselves making questionable friends with the Armco, in agonisingly expensive paroxysms of twisted metal and vintage dismay), you’ll arrive at the crux of this way of thinking: these are simply machines crafted from metal, rubber and glass. It is not beyond the wit of man to fabricate replacement parts for any bits you may happen to bend. And furthermore, they’re just cars. Yes, they’re particularly special and unusual cars, but the fundamental purpose of such a machine is to convey a person or persons from point A to point B. OK, cars such as these are designed to perform said task with as much speed, adrenaline and visceral stimulation as can be mustered, but they are ultimately just modes of transport. They were designed and built to be driven, and therefore it makes perfect sense to use them for their intended purpose. If it seems necessary or advantageous to modify parts here and there to enhance this experience, let it be so. You may have noticed that we’re rather into modified cars around here, so this second approach is all more than OK with us. The sumptuously modified M3 you see here is in fact a neat bookend for Raj Sangha’s modifying career to date: back in the early 1990s he bought an E30 325i which he set about respraying Boston green, trimming the interior in cream leather, and lowering it on Bilsteins over Borbet Cs. He reckons it was probably one of the first E30s to have its bonnet and boot lid properly de-badged, and it was details like this that earned it a feature in this very magazine in 1999. Fast-forward through the generations and we see Raj (who is, incidentally, the owner of revered aftermarket specialist Car Audio Security) putting together a plethora of aspirational and eye-catching builds. Among their number an E92 M3 and Audi R8, both static over 20” Rotiforms, a nut-and-bolt resto Porsche 964 C2 on Rotiforms, a Ferrari F355 on Rotiforms – you may at this point be spotting a pattern with the wheel choices – and a bagged M4 with a massive Rockford Fosgate install and, yes, Rotiforms. And now it’s come full-circle with another E30 – this time an M3, because it’s the car he always wanted when he was younger. Well, didn’t we all? A very sound base for a project, then – solid and provable history, and yet just enough deviation from concours to ensure a free rein in putting his own stamp on things. 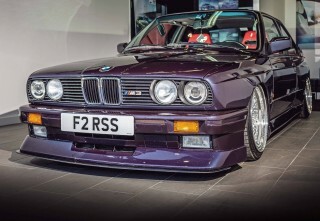 And the plan was to make a few alterations from day one: “The M3 was always going to be used as a show vehicle, so plenty of modifications were planned straight off the bat,” he says. “It was intended to showcase the products that we distribute in the UK, namely Air Lift Performance, Rotiform, Rockford Fosgate, and Clifford.” Your brain will already be shuffling the pieces into place by this point – we’re talking air-ride, wheels, audio, and security, buttered over a smooth 1980s base. The crew knew just what to do, and wasted no time in getting stuck in. A set of wheels were then selected – Rotiform OZTs – before Dan at Lavish Automotive was charged with the task of retrimming a set of genuine Sport Evo seats in soft and smooth red Nappa leather, complemented by red Alcantara door cards. It’s a genuinely eye-catching approach, helping to fuse motorsport prowess with sumptuous luxury in impeccable style. 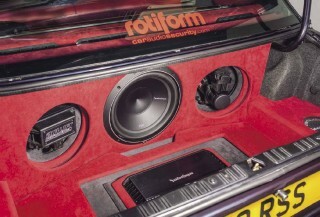 And the final flourish was to employ the ‘Audio’ and ‘Security’ parts of the company name, the former comprising a full-fat Rockford Fosgate system with red-trimmed boot build, and the latter taken care of by a top-of-the-range Clifford alarm and tracker system. The body colour is also worthy of note – unusual as it may look, it hasn’t been resprayed for this project. It is in fact the car’s factory-optioned shade, Macau blue, and its myriad complexities really pop in the sunlight. The team had a bit of fun trying to augment it with the appropriate embellishments too; the Evo front lip is no longer available through BMW and proved annoyingly tricky to track down – in the end, one was sourced from a fellow enthusiast in Toronto, which was then paint-matched in Macau blue by Dips at Custom Cars. The carbon fibre Gurney flap for the boot spoiler also required a bit of hunting down, eventually turning up in Germany, while a pukka M Tech II steering wheel was acquired from a seller a little closer to home. Subtle touches that don’t radically rework the aesthetic, but each one has its own convoluted tale to tell. The Macau paint really contrasts beautifully with the red leather too, doesn’t it? “The interior that was in the car when we started was not the original,” Raj elaborates. “A previous owner had had it retrimmed in grey. The quality of the leather was exceptional, but I wanted to go with a colour that would pop with the external paint. Finding the E30 door cards and rear panels was fairly simple, the rear bench proved a little more difficult though, and in the end I had to settle for a fairly used second-hand example (which wasn’t cheap!). The rear deck was also purchased off eBay. For the front, I managed to source a pair of genuine E30 M3 Sport Evo seats, freshly retrimmed in black Nappa leather from a seller in Germany. The complete interior was given to Dan at Lavish Automotive to retrim in red leather, and the door cards were broken up with some red Alcantara. 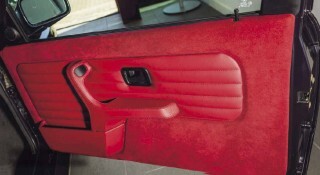 The rear shelf was also trimmed in red Alcantara. The grey interior supplied with the car was removed and put into storage, custom runners were made, and the new interior was installed, giving the car a completely different and fresh look,” he says. This BMW M3 is an exercise in perfectionism, building on a fabulous base car with a clear plan of attack and ensuring that every individual element is entirely flawless, both mechanically and aesthetically. Indeed, Raj’s quest for perfection continues to lengthen the to-do list (he’s after a darker carpet to contrast with the seats, and a DTM carbon air box, and bigger throttle bodies, and a stainless exhaust; he’ll probably have more ideas tomorrow) and, as a rolling showcase for Car Audio Security, this project ticks a lot of boxes. Untouchable? Nonsense. This is the E30 M3 refined, perfected, beautifully mirroring contemporary trends while also harking to a bygone age of simplicity and purity. Sure, some may call it ‘ruined’, but they need to remember that this is, essentially, just a car. And yet, at the same time, it’s so much more than that: Raj’s improvements have elevated it into a work of art. Custom boot build for air and audio components 17” Rotiform LHRs have a retro look. Carbon fibre Gurney flap rear spoiler looks fantastic. The legendary S14 has been left stock. Genuine Sport Evo seats have been trimmed in red leather Door cards are finished in red leather and Alcantara.